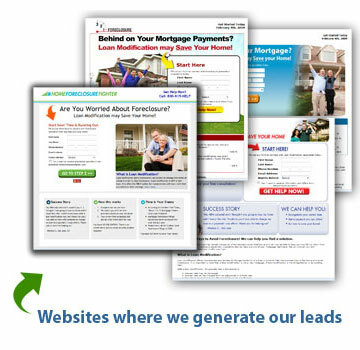 Finish our Lead Buyer application to gain immediate access to our Leads123 Portal. It's easy to get started! Fill out the form below to set up your lead buyer account. Once you're approved, you can start buying leads right away. There are no long term commitments or large volume requirements - you can start with as little as $250! Discover why we're the industry leader in loan modification leads! How Do I Work Leads? We’re often asked for best practices for working loan modification leads. Over the years we’ve found that the most successful companies are the ones with the most efficient processes. For example, are you using a CRM? If not, you should have a software program in place to distribute and track leads. How often do you call leads? According to industry studies, companies should attempt to contact a lead at least five times per day for the first week in order to achieve maximum return on investment. Call one of our dedicated account representatives at 1-888-219-8625 for more tips and tricks on the most effective practices for working leads.